A magical story follows the adventures of four animal friends--Toad, Mole, Water Rat, and Badger--who live along a river in the English countryside. An abridged version of Kenneth Grahame's classic tale of the escapades of four animal friends who live along a river in the English countryside--Toad, Mole, Rat, and Badger. Since 1903, the escapades of Mole, his friend Water Rat, shy Badger, and Toad of Toad Hall have delighted children, and adults, too. 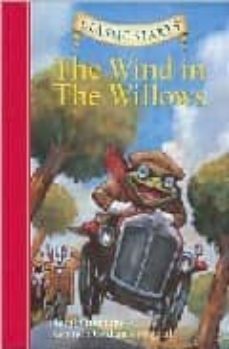 Follow the winning foursome through the seasons as they sail the river, get lost in the Wild Wood, take off on a merry adventure in Toad’s colorful carriage, and rescue Toad Hall from a band of nasty marauding weasels.